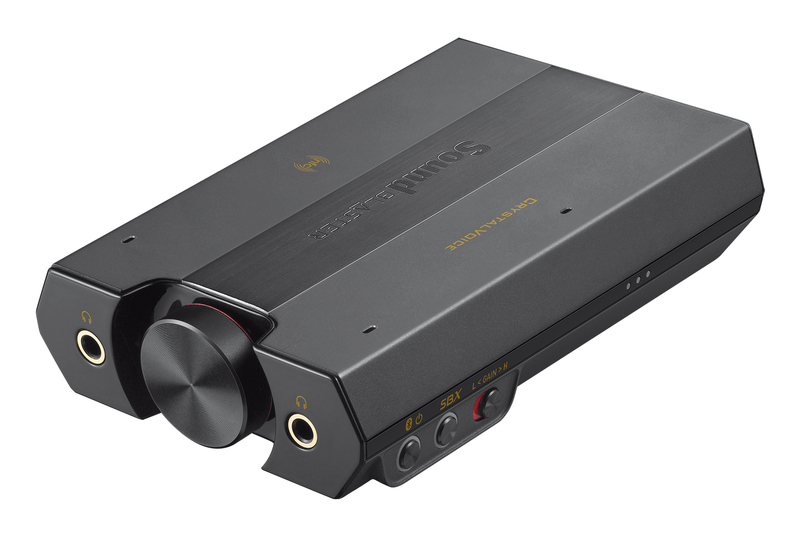 MILPITAS, CA--(Marketwired - August 26, 2014) - Creative Technology Ltd today launched the Sound Blaster E5 - Flagship of the "Sound Blaster E-Series", and a new audio solution for USB DAC and headphone amplifier. Boasting audiophile-grade specifications and components, the Sound Blaster E5 is designed to deliver bit-perfect audio, allowing mobile users to experience audio as the artists intended. 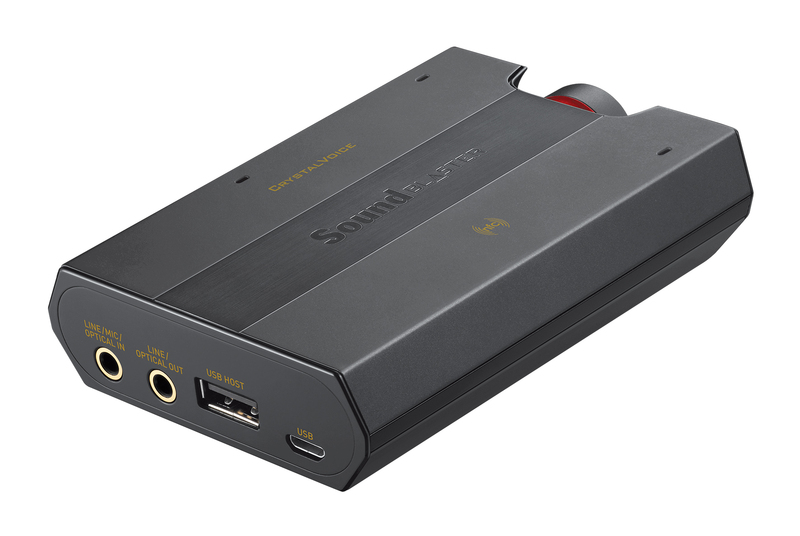 The new flagship product is an extension of Sound Blaster's E-Series line of compact portable USB audio solutions. Launched in May 2014, the Sound Blaster E-Series includes the Sound Blaster E1 and Sound Blaster E3. The Sound Blaster E5 will be retailing at an amazing price of USD199.99. "We have always believed that everyone and anyone should have access to great audio quality and be able to share it, while supporting audio source from various devices - including iOS and Android devices, PC, and Mac. While the video experience of many users today have greatly advanced from HD to 4K resolution, the audio experience on the other hand is still sub-optimum - if 4K TV is four times clearer than Full HD, CD-quality audio, which many listen to today, is at least six times poorer than what 24-bit/192kHz high-resolution audio can offer. This is why we have introduced a top-notch audio solution featuring only the best audio components to provide the "4K TV" experience of audio," says Long Chye Low, General Manager for Sound Blaster Audio at Creative. "Listen to your favorite tracks with a good pair of headphones through the Sound Blaster E5 and you will be able to pick out finer details and greater depth of music - as if you were listening to the artist or orchestra performing live." he added. ^ Actual battery life will vary with usage scenarios, settings and environmental conditions. Total audio control over Sound Blaster E5 on any platform - PC, Mac, iOS or Android. The Sound Blaster E-Series Control Panel for PC/Mac users, while the Sound Blaster Central mobile application for iOS and Android devices gives users full access to customize their audio settings, like a remote control right in the palm of their hand. 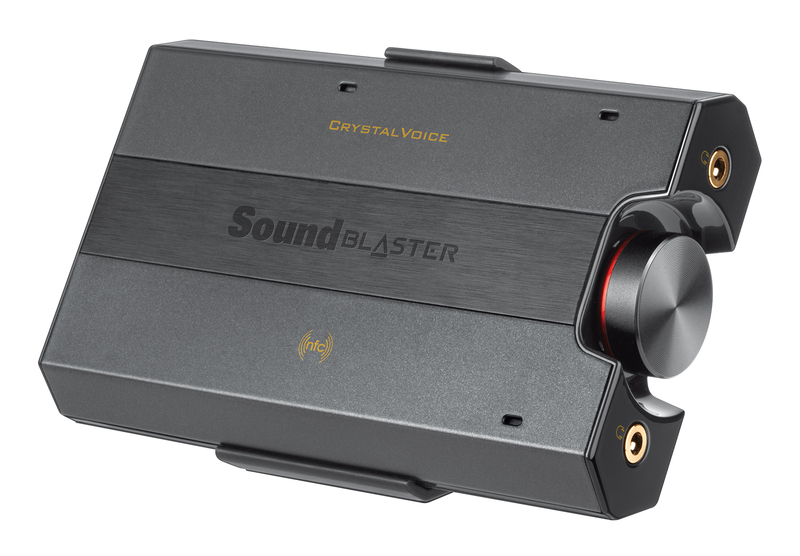 The Creative Sound Blaster E5, priced at USD199.99, will be available from October 2014 at the online store at creative.com. For more information about the Creative Sound Blaster E5, please visit www.creative.com/E5/. Creative is a worldwide leader in digital entertainment products. Famous for its Sound Blaster® sound cards and for launching the multimedia revolution, Creative is now driving digital entertainment with cutting-edge audio solutions, premium wireless speakers, wireless headphones and portable media devices. Today, Creative re-invents the Sound Blaster, which has a user base of over 400 million, with its ground-breaking Sound Blaster Roar and Sound BlasterAxx that aim at the new mobile networked generation by bridging the worlds of the computer, smartphones, and tablets. Creative's proprietary technologies, innovative hardware, applications and services leverage the Internet, enabling consumers to experience high-quality digital entertainment - anytime, anywhere.